The Power Rangers are getting ready to celebrate their 25h anniversary later this month. To celebrate the occasion, the folks at the National Day Calendar have announced that the franchise is getting its very own day. With that, the first ever National Power Rangers Day is set to take place on August 28, in honor of the day that the original Mighty Morphin Power Rangers series first debuted two and a half decades ago in 1993. Here's how the organization is suggesting fans observe the day. "Whether you are a red, yellow, pink, black, blue, green or (favorite color here) Power Ranger, on August 28th, it's Morphin' Time! Celebrate your passion for the Power Rangers on social media by wearing your gear and sharing your memories. Be sure to use #NationalPowerRangersDay to get in on the fun." Hasbro, who recently purchased the Power Rangers franchise, is organizing the day in order to help celebrate the 25th anniversary. Unfortunately, at the present time, it doesn't look like they have any actual events planned to commemorate the first annual celebration. Instead, this is more about fans sharing their love in any way possible. And possibly to cosplay with some friends in coordinated fashion. "On National Power Rangers Day everyone gets to be a Power Ranger! What are your Ranger skills and abilities? Do you have super strength or enhanced memory? Maybe your talent hasn't been discovered yet. That's ok! No matter where you live or who you are, with discipline, mindfulness, and heart, anyone can become a Power Ranger. Ultimately, the goal is to call your friends, color coordinate and get ready to celebrate National Power Rangers Day!" When Mighty Morphin Power Rangers debuted in 1993 it quickly became a sensation and the series hasn't really skipped a beat since. There have been many iterations over the years, with the current Super Ninja Steel run going strong. The series has kept soldiering on through various cast change-ups, incarnations and what have you. To date, there have been more than 830 Power Rangers episodes produced and it's the second-longest scripted program that isn't a soap opera on TV, next to The Simpsons. However, The Simpsons hasn't aired nearly as many episodes, despite heading into its landmark 30th season this year. As of 2001, the brand had generated more than $6 billion in sales worldwide, making it a true global phenomenon. The series is broadcast on more than 150 markets around the globe. That's what helped make the brand worth $522 million to Hasbro. 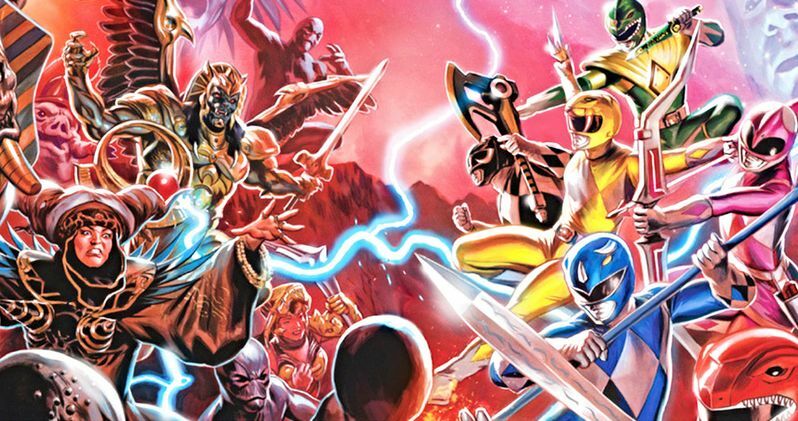 So what's next for the Power Rangers? Hasbro is laying plans for future movies and it was recently confirmed that they're working on a follow-up to the 2017 live-action flick. Though, details are currently quite scarce and it isn't clear if this will be a direct sequel or a reboot of some kind. They will also be releasing new products starting next year. For more details on the first ever National Power Rangers Day, you can head on over to the National Day Calendar.